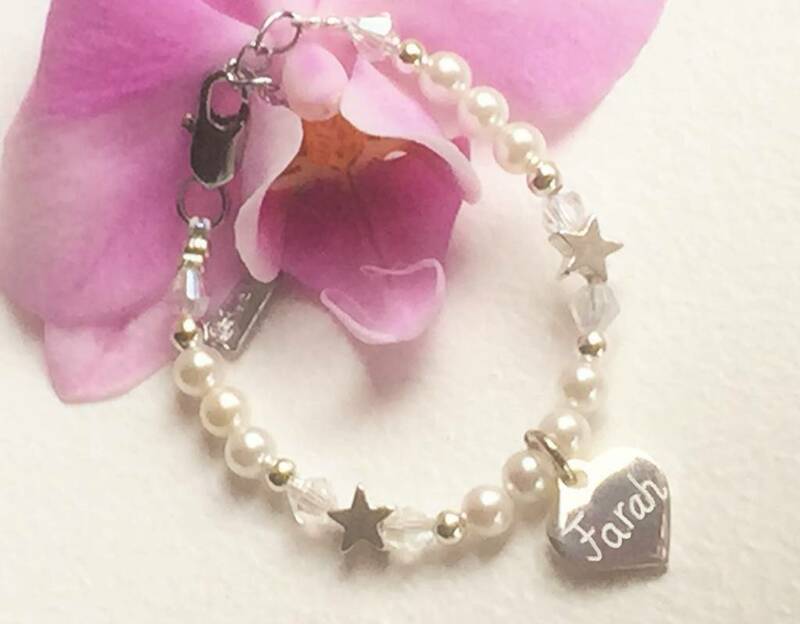 This is a very personalized bracelet, engraved with her first name, kind word or date. 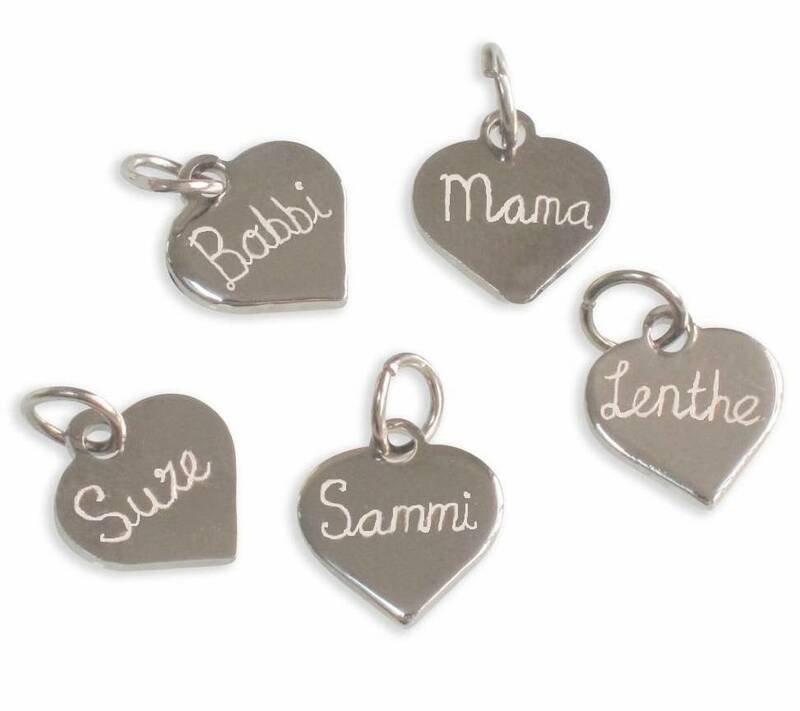 On the back there are many beautiful texts to choose from (engraved with black laser). 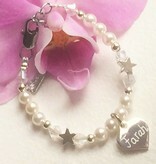 ♥ The charm is handmade and engraved in our workshop with a marking pin. 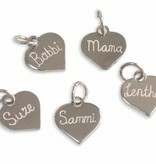 ♥ We engrave the traditional way, with high pressure. 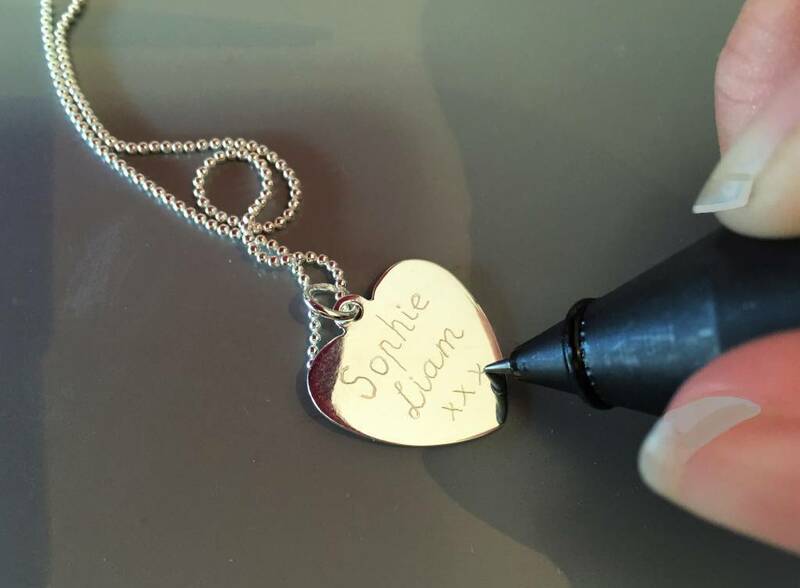 The engraving is not "mechanically straight" but 'literally' hand-written by Tanja. 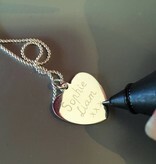 ♥ We engrave in a cursive letter writing as a handwritten note..
♥ Extra strong with the use of wire with nylon coating. 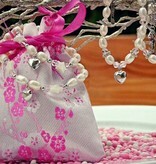 ♥ 3 cm extension chain ensures a perfect fit. 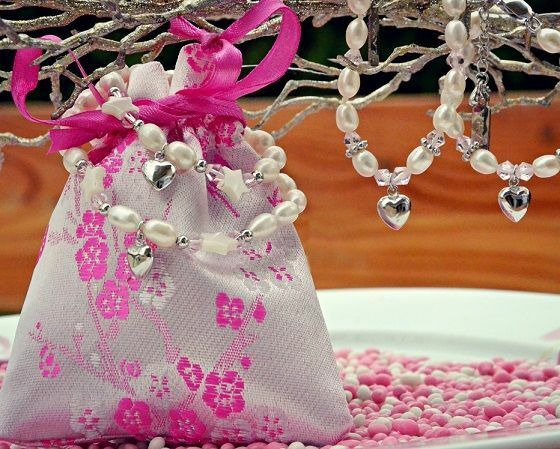 ♥ High quality round shell beads (4 by 4 mm) with a beautiful pearly shine.